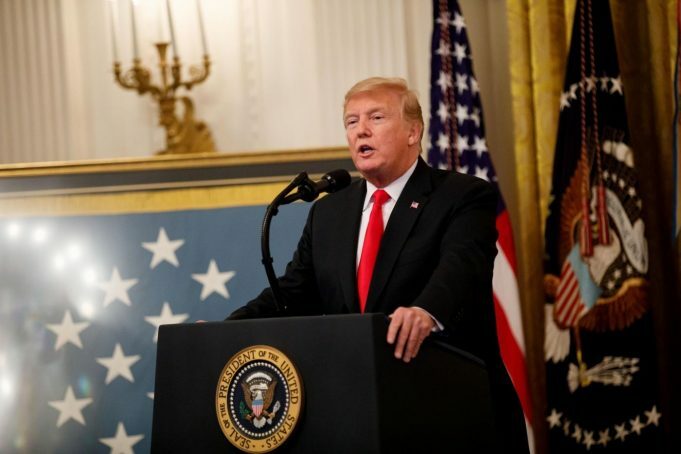 “It’s my great honour to announce that we have successfully completed negotiations on a brand new deal to terminate and replace NAFTA… with an incredible new US-Mexico-Canada agreement called USMCA,” Trump said on Monday at an event at the White House to celebrate the new trade deal, Xinhua reported. “I plan to sign the agreement by the end of November. I then will submit it for approval to Congress, where, in theory, there should be no trouble,” he said. Talks on re-negotiating the NAFTA began in August 2017 as Trump threatened to withdraw from the trilateral trade deal and claimed that it harmed US industries and jobs. The US and Mexico struck a preliminary agreement to update the 24-year-old NAFTA by late August. Then US and Canadian negotiators made the final push this weekend to reach an agreement before a midnight Sunday deadline, allowing leaders from the three countries to sign the new trade pact by late November. The Office of the US Trade Representative on Sunday night released the full legal text of the new “US-Mexico-Canada Agreement,” which includes more than 30 chapters such as market access for goods, agriculture, rules of origin, trade remedies, financial services, digital trade, and dispute settlement. Now the trade agreement needs to be reviewed and approved by lawmakers from the three countries. But the US Congress is not likely to have a vote on the trade pact until next year, according to media reports. “Congress won’t vote on the agreement until next year, because it still has a number of procedural hurdles to clear under Trade Promotion Authority legislation, including an analysis by the US International Trade Commission,” Politico, a US political website, reported. While calling the agreement “the most important trade deal we’ve ever made by far,” Trump said he’s “not at all confident” that Congress will approve the deal. “They (Democrats) might be willing to throw one of the great deals for people and the workers. 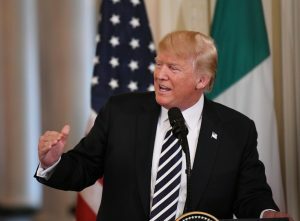 They may be willing to do that for political purpose,” Trump said, adding Democrats might not want to approve the revised NAFTA agreement as they will have the 2020 presidential race in mind. “Any trade agreement proposal must be judged by whether it improves the wages, working conditions and well-being of America’s workers and farmers,” House Democratic Leader Nancy Pelosi said Monday in a statement. “Democrats will closely scrutinize the text of the Trump Administration’s NAFTA proposal, and look forward to further analyses and conversations with stakeholders,” she said.